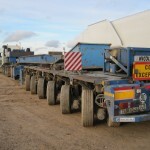 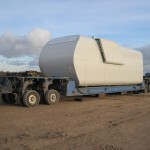 Nacelle trailer (also called low loader) is one of the special vehicles currently used to carry WTG components from the factory to the wind farm. 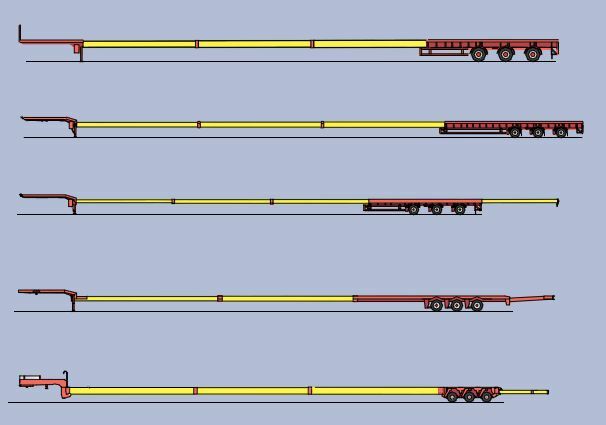 His peculiarity is that it’s very low, only a few centimetres above the road: this is to allow transportation on public road, where bridges with a free height of 5 or less meters are common. 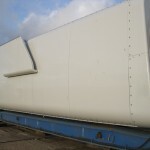 The weight of the nacelle is very near to the maximum that can be transported by road: in some cases, for instance with the Vestas V112, the drive train is carried separately from the rest of the nacelle and than it’s assembled on site. 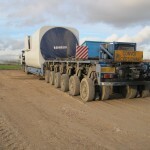 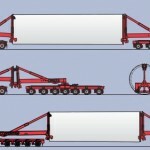 There are even vehicle developed expressly for a wind turbines manufactures, such as the Nooteboom MEGA wind mill transporter developed for Vestas that allow savings as it is possible to load / unload without the use of a crane. 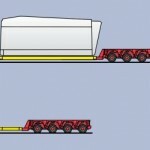 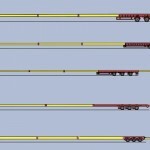 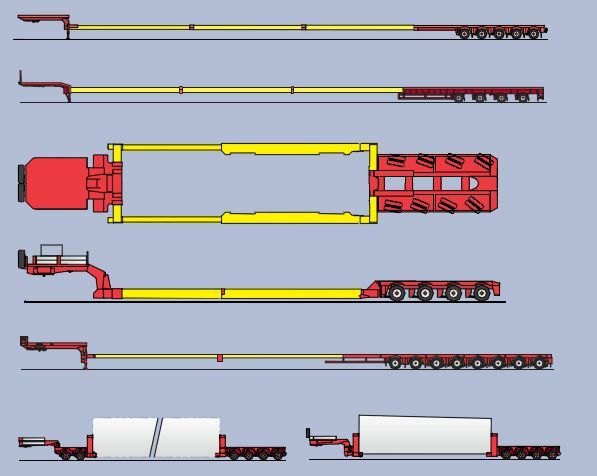 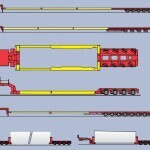 The average low loader has from 6 to 8 wheels, and the platform can be closed after the unload of the nacelle: fully extended the trailer is almost 30 meters, while closed is about 20 meters.